Best Injectors for 5.9 Cummins Common Rail Reviews in April 2019! 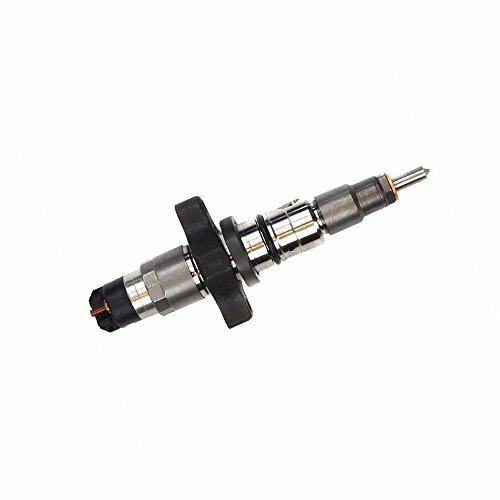 List of Top-Rated Injectors for 5.9 Cummins Common Rail! Hi, this is old Ken again, I recently published a guide with a review of injectors for the Cummins 6.7L and was asked to do the same for 5.9L but with rebuilt units. OK, so let me start by stating that rebuilt is fine, its budget-friendly, it’s not new, but heck, it’s just as good as a new one when you buy it from a reliable source. So, here are the reliable sources, and yes, they are from China, where all things cheap and useless come from, and that means all your mobile phones, TV’s component and heck, the electronics in Air Force One too. Now, there are a lot of reasons why you must replace your old injectors, and these reasons include bad, faulty, dirty, clogged or leaking injectors. These symptoms will present themselves lamely at first, as smog, poor idle, failed emissions, and overall poor engine performance. In most cases, your engine will not reach its full RPM, or you will notice an increase in fuel consumption. Other symptoms include rough engine performance, surging and bucking when changing gears and throttling, excess smoke from the tailpipe and engine Knock or that OMG detonation which leads to complete engine failure. Leaking Injectors increase your fuel consumption and are also a serious fire hazard. These leaks lead to oil thinning and hydro lock which in turn leads to catastrophic engine failure. Replacing your injectors is a must, and you don’t need to buy original or new ones, you can buy rebuilt ones too. These are OE specification rebuilt injectors that have been rebuilt to provide improved mileage performance and deliver a smooth clean idle with a slight gain in HP. All Luqing parts come with new copper crush washers and O-rings for installation. 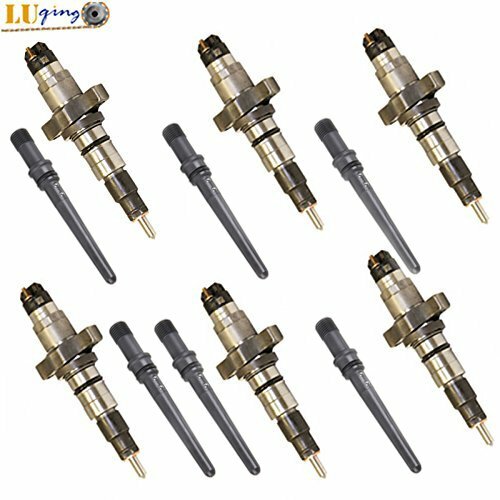 These refurbished injectors, for the 2003-2009 Cummins 5.9L Diesel 305HP (part no. 1004-6) is rebuilt with OE Specifications and each injector is carefully calibrated to improve the mileage consumption, deliver a smooth idle and give a slight increase in HP. This set of 6 comes with new copper crush washers and O-rings and are easy to install. 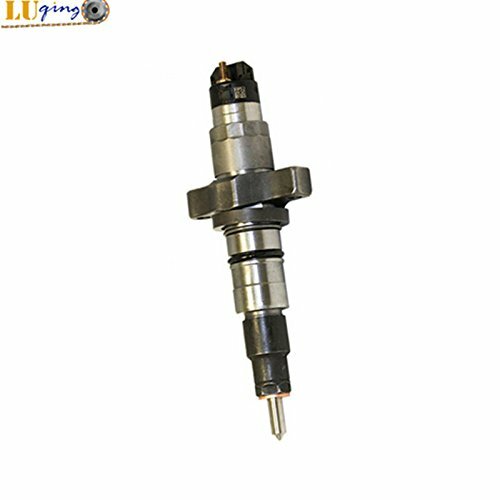 These are OE specification rebuilt injectors that have been rebuilt to provide improved mileage performance and deliver a smooth, clean idle with a slight gain in HP. This is the DCP rebuilt injector for 2004.5-2007 Dodge Cummins HPCR “600” engine, fits 2004.5, 2005, 2006, 2007 and you don’t pay for the core up-front. The core is charged if you do not return it. Otherwise, you get an exceptional injector rebuilt in the US of A. A clogged injector will sometimes assume the patterns of a bad coil or broken plug wire, and in some cases even imitate a bad spark plug. This is why you need to check your injectors when these symptoms occur, even if you think it is something else. A clogged injector is a poor piece of machinery that is so full of gunk, old fuel, carbon powders and other residues that it also leads to filter baskets clogging up as well. This is due to poor maintenance, and a clogged fuel injector will prevent fuel from reaching the engine. 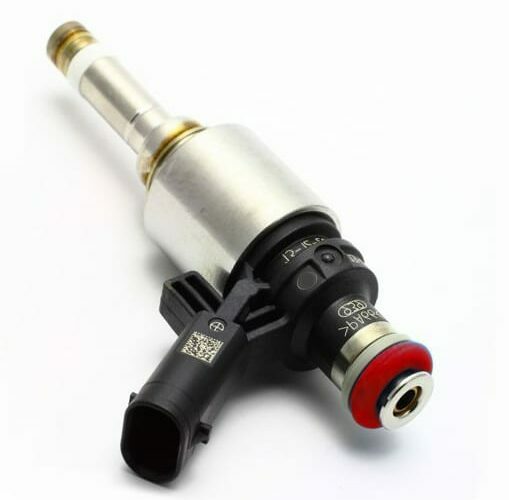 Basically, a clogged fuel injector means you treat your engine badly. The only way to prevent clogging is to check your injectors more than once a year (at least), preferably once every half a year, and if you are into heavy off-road driving or heavy load driving, you need to check them once every two to three months. 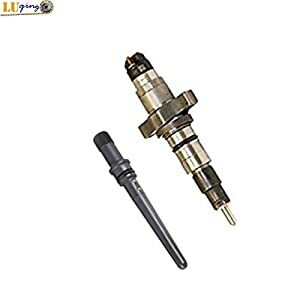 If your injector is clogged there are only two alternatives; the first is to replace them, the second is take them out and get them cleaned professionally. I personally suggest you forget this option and change them. Once you do realize that you need to change your injectors, I suggest you consider taking up a monthly preventative maintenance review of your engine’s performance, buy an engine tuner and get all the info on performance. It will help you locate and focus on problem areas. It will also make your life easier and less expensive to manage. OK, not if you have dirty fuel injectors, which is one level down from clogged, you still have a chance to clean them in the engine, but you had better recognize this issue fast. The fact that you caught your injectors when they were only dirty means you do take care occasionally, and that’s a good start, but not enough. A dirty injector has an accumulation of hydrocarbons and additives mixed in with the gunk and carbon that will lead to a clogged injection. The bottom line is you need to clean them fast, either in the engine, or I suggest you take them out and get them cleaned professionally for extra precaution. If you maintain a good preventative maintenance code, you will always clean your injectors on a regular basis, and this will prolong their life as well as your engines life. Remember, your Dodge Ram 5.9L Cummins is a beast, but its engine is delicate, and just like the human body, if you don’t care for it, you will end up killing it. 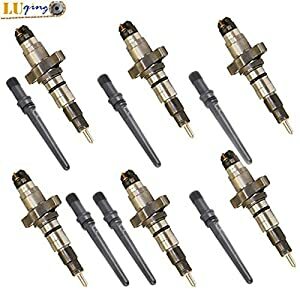 Injectors are key in the performance of the engine, they are like the arteries in your heart, if they go kaput, so does your heart, and if the injectors go kaput, so does your engine.